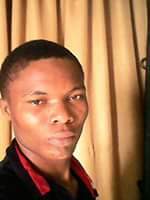 Home INFORMATION The Most Dangerous But Common With People, You Must Read to Save Life (Mobile Phone ) by Chidi young. 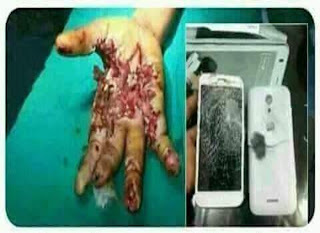 The Most Dangerous But Common With People, You Must Read to Save Life (Mobile Phone ) by Chidi young. This base on what I have seen, received, reported to my desk so it is assumed to be 89% sure therefore it is not a play neither joke is all about what to do to save life . Since the massive growth in technologies world, life has been so easy than some years ago . Especially since the invention of mobile phone, living has been so comfortable and enjoyable, unlike years back when things weren't that easy even to many angles of life. Everything on this planet earth has a law that governs it, but it is quite unfortunately that many people due ignore the laws of nature while it result to negative effects. Mobile phone is so good to human being in numerous ways, it so helpful as the matter of fact it can be count as one of the best technology ever made to assist human person ,and it helpful characteristic is even more than hundreds if we're to count in numbers but the fact is, it has a law of nature, which human person need to observe in other to save life . Ignorance has killed many, laziness has kept a lot of people in misery situation. your "actions" right now can save some one else some where likewise your "neglect" can cause somebody to regret. the following are the risky of mobile phone,so it is good if we can take note of them as well as to share it with our friends out there both on social media or by any other means of information or communication . 1) filling stations, gas stoves and steaming generators. If you take a proper look, you will observed that every petrol station cautioned answering calls at the filling station,like wise answering calls near gas stove or steaming generator, it is risking of life. these things have left many dead while a lot in pain. 2) listening to music with earphone while charging. listening to songs or music while charging phone is not good at all , I have gotten series of incident that occurred when someone is listening to music while charging his/her phone. it is very dangerous . I have seen some pictures of persons that got burnt simple he/she was listening to music while charging his/her phone . Therefore it is advisable that when ever we are charging our phone, try forget about listening to music for that moment ,if you charge to your satisfaction then unplug your phone and listen to your music. 3) Calls When Charging Phone ."" Answering or making calls while charging phone is also another thing that is not good ,because from the information that some people has brought so far to my desk , has proven that it's risky' to answer or make calls while charging your phone. below is some evidence of what I am saying . the reason for this information is to save life therefore it is important that we understand this , as not being joke or play, so it is also important that we read this over and over again , probably share it out to other social media to reach some people out there as well. 622 Days Of Recession Has Turned Many Nigerian's In To Hemi- Time Beggars .